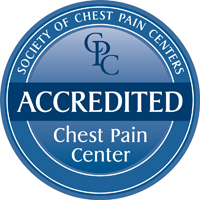 Emory Johns Creek Hospital has received Chest Pain Center Accreditation with PCI (percutaneous coronary intervention) from the Society of Cardiovascular Patient Care (SCPC). Emory Johns Creek Hospital has received Chest Pain Center Accreditation with PCI (percutaneous coronary intervention) from the Society of Cardiovascular Patient Care (SCPC). Hospitals that receive SCPC accreditation meet or exceed quality-of-care measures in patients who arrive with symptoms of a heart attack (acute cardiac medicine). Heart attacks are the leading cause of death in the U.S., with 600,000 people dying annually of heart disease. More than five million Americans visit hospitals each year with chest pain. The Society of Cardiovascular Patient Care's goal is to significantly reduce the death rate of these patients by teaching the public to recognize and react to the early symptoms of a possible heart attack, reduce the time it takes to receive treatment and increase the accuracy and effectiveness of treatment. "Heart patients at Emory Johns Creek Hospital can expect a continuum of care from the very start of the patient's symptoms until discharge from the hospital," says Jeffrey Hershey, MD, both chair of the Division of Cardiology and chief of medicine at Emory Johns Creek Hospital. "This includes care starting with emergency dispatch to EMS in the field to the emergency department to the cath lab to the observation unit to cardiac rehab and through discharge from the facility. We have enhanced the quality of care for cardiac patients and are committed to these higher standards of care." Detecting and treating symptoms that may lead to a heart attack, thus avoiding a heart attack and therefore avoiding heart damage. Providing the community with education and information regarding early heart attack care to improve wellness and the quality of life. "It took a team of dedicated people across many hospital departments and services to achieve Chest Pain Center Accreditation at Emory Johns Creek Hospital," says Craig McCoy, CEO of Emory Johns Creek Hospital. "We are excited about this designation and know it will benefit many patients during the critical and early stages of a heart attack and throughout their recovery." Emory Johns Creek Hospital is the third hospital within the Emory Healthcare system to achieve Chest Pain Center Accreditation. 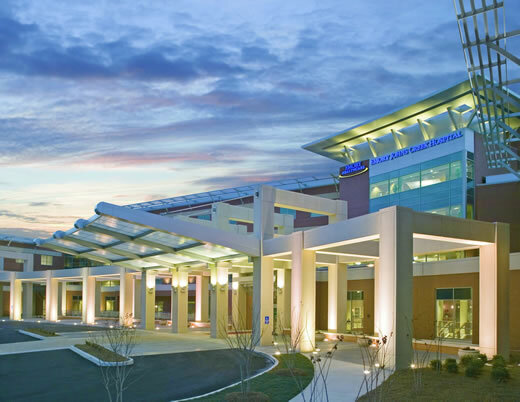 Both Emory University Hospital and Emory University Hospital Midtown are accredited Chest Pain Centers. Hospitals must reapply for their designation every three years. "We are so proud of the phenomenal work by this multidisciplinary team," says Marilyn Margolis, MN, RN, chief nursing officer and vice president of operations at Emory Johns Creek Hospital. "This accreditation shows our ability to provide the community with the best heart care available."